Chicago Tribune reporter Eseosa Olumhense reported earlier this year that increasingly large portions of Chicago are becoming “pharmacy deserts.” These areas tend to have several factors in common: They’re often low-income, and home to immigrants and other minorities. The Center for Health Journalism spoke with Olumhense to hear more about her reporting on the issue, and why this growing lack of pharmacies is an important health issue for these communities. Tell us a bit about your reporting on pharmacy deserts in Chicago. 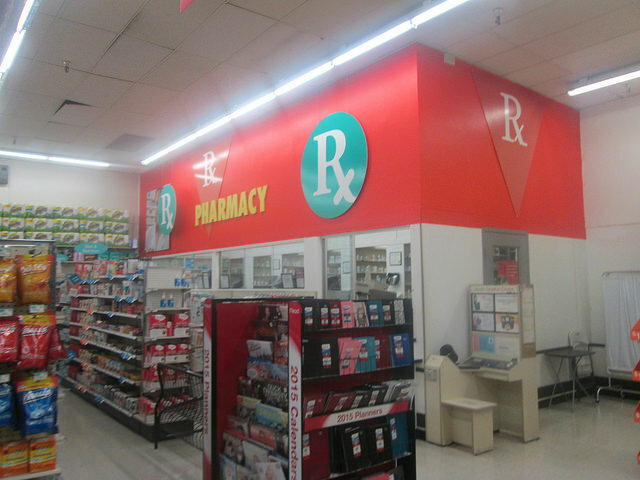 Pharmacies are increasingly critical pieces of the health care landscape in the United States. Think about it: In one trip to the pharmacy, one can access not only necessary prescription medication, but also over-the-counter medicines, first-aid supplies, a physical, a flu shot, access to hygiene products, food, and more, including naloxone, the overdose reversal drug. But in many places in this country, pharmacies are too few and too far in between. Communities without accessible pharmacies, especially those with larger senior and low-income populations (who often lack ready access to cars), have been dubbed “pharmacy deserts” by experts studying this problem. In the top 30 cities in the U.S., pharmacy deserts are most prevalent in black communities, researchers told me, a glaring remnant of both structural racism and segregation. This is definitely true in Chicago, where in parts of some black neighborhoods I visited, there was no pharmacy for at least 1 mile. What initially drew you to the topic? I’ve always been fascinated by reporting on health disparities. There is a wealth of data that illustrates that where one lives has a profound impact on not only how well one lives, but how long one lives. Some months ago, I read a paper by Professor Dima Qato at the University of Illinois at Chicago on pharmacy access in segregated neighborhoods in Chicago. Her conclusion — that there are demonstrably fewer pharmacies in black Chicago neighborhoods where health inequities already exist — floored me. I decided to look her up and see if she was still working on this. She was, and in fact she and a colleague had just started a three-year research program to study it. Did you find any explanation for the high number of pharmacy closures in the city's predominantly black and Latino communities? There are a few factors that explain the lack of pharmacy access in black neighborhoods here, but it really is complicated. Some speculate that stores close because of poor business performance in these neighborhoods, and I did hear that from at least one pharmacy chain. Others blamed crime, but this isn't something I heard from the pharmacy chains I spoke to. Pharmacies in these neighborhoods were also not the subject of burglaries, from my research, nor was there media coverage of assaults on staff there. No one can compel a private business to open or stay in any location, but I do wonder why we have largely accepted that pharmacies are subject to the whims and wishes of the market, even though they matter massively to the care landscape, like hospitals, given the role they play. What's the most interesting thing you couldn't include in this story? There’s lots of talk from pharmacy and health care advocates about possible solutions for this problem, which include home delivery and adopting the common model in other countries of building pharmacies into community health centers, so folks who need prescriptions can access them when they see their doctors. I couldn’t explore many of those options in this piece (it’s still too early to know the full range of options) but I feel that a story exploring such options and their success elsewhere would be a great follow-up to this one. What was the biggest challenge reporting this story? I was fortunate to work with a great data reporter on this piece, Nausheen Husain, but had I needed to work through the data we had alone I would probably still be working on this story. I think the best stories on health disparities are those that take advantage of all the data that already exists on inequity, and I wanted to make sure my story did that. But it can be hard to parse through things, draw the necessary conclusions, and translate them to a format that is easy-to-digest for readers. But it is so rewarding when you succeed in doing so.